The government of India recently amended the Indian Forest Act, 1927, and the new changes can transform the bamboo sector. Before, bamboo was categorised as a tree. As a result, felled or extracted bamboo, whether found in or brought from a forest, was considered as “timber”. The Act empowered state governments to regulate the trade and movement of bamboo. The law not only constricted the livelihoods of forest communities, but restricted private growers too. For decades, farmers and stakeholders had been fighting against this categorisation of bamboo. After amending Section 2(7) of Indian Forest Act, 1927, bamboo is no longer a tree and felled bamboo too is not timber. So any bamboo grown in private or homestead land by millions of farmers does not require a felling permission or transit permission from any state forest department. These provisions were largely a result of a colonial era mindset of a command and control system. 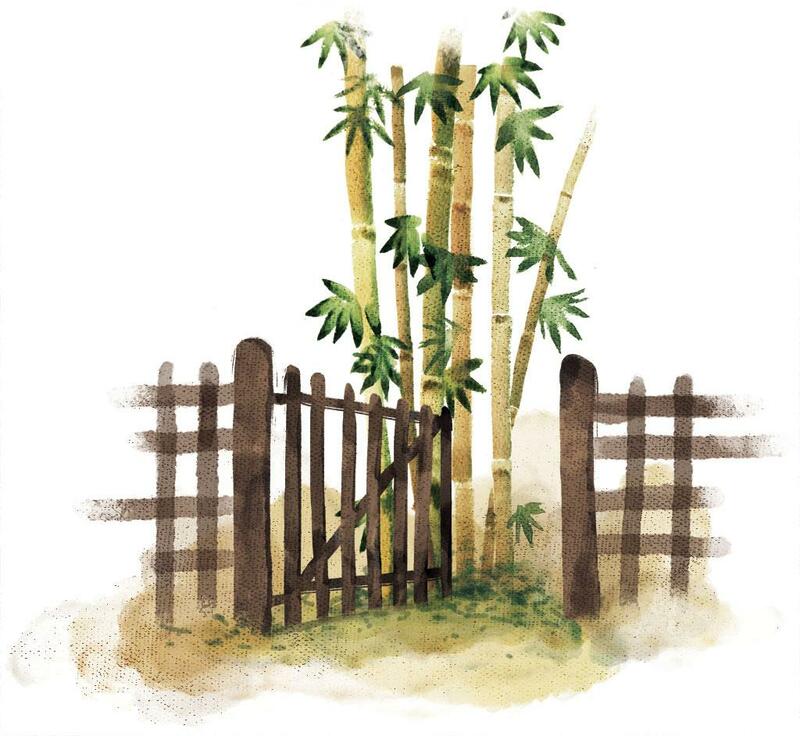 And there was no reason why bamboo, which belongs to grass family Poacea, should have been treated as a tree. The ordinance was passed in both houses of Parliament and a notification has been issued after presidential assent. There are more than 125 species of bamboo in India. Cultivated in over 11.36 million hectares (ha) in forests and private lands, about 13.50 million tonnes of bamboo are produced annually. There is immense potential to increase the productivity of bamboo resources and utilise it for increased value addition to generate employment and economic activities, primarily in rural areas. New and emerging technologies are available for value added products such as wood substitutes, medium density fibreboard and particle boards, craft and utility products such as incense sticks, food products such as edible bamboo shoot, energy products such as charcoal and activated carbon. As per projections of NITI Aayog, bamboo resources in the country have the potential to generate economic activities worth Rs 50,000 crore as well as to create millions of person days of employment in rural and remote parts of the country. As of now bamboo only generates revenue of about Rs 4,000-Rs 5,000 crore. In the past, governments have formulated and implemented mission mode programmes for bamboo sector development which could not lead to increased sectoral turnover. A study by the Confederation of Indian Industry and the India Development Foundation in 2007 established the major constraints impeding the growth of the bamboo sector. These were access and the regulatory regime, which had throttled the sector and discouraged private end use-based plantations leading to erratic and scant supply of quality raw material—in terms of species and maturity—to nascent enterprises. These bottlenecks adversely impacted their viability and restricted further investment in the sector. Some environmentalists have expressed fears that the amendment will degrade bamboo in forests and adversely impact the lives of millions of tribal communities who have rights over this resource under the Forest Rights Act, 2006. Such apprehensions are misplaced, as the amendment removes bamboo as a tree from Section 2(7) of Indian Forest Act, 1927, which would ease transit and felling restrictions on bamboo in private lands. Moreover, the Act still has legal provisions, which prohibits unauthorised extraction of bamboo from the forests and empowers forest departments to prosecute any person or agency found to be doing so. We also need to understand that the amendment has conferred bamboo its logical and long overdue status. Unlike timber, which is harvested on cycles that range from 8-9 years for fast growing species like poplar and eucalyptus to 40-60 years for hardwoods like teak, bamboo can be, and must be, harvested every year. Unlike timber, where the entire tree is felled, harvesting of bamboo entails only cutting of the few mature culms, leaving large parts of plant, including rhizome and root structure, to re-grow and perform vital environmental and ecological functions in the ecosystem. Bamboo is highly renewable, but when it is not harvested each year, the productivity of the plant suffers on account of the congestion and retardance of shooting of new culms. Bamboo, once harvested and stored for some time, it is difficult, even impossible, to distinguish the source from where it originated—homestead/districts or forests. In practice, therefore, any restriction on its storage and transit would be detrimental for private growers. The ordinance has brought about a historic change in the archaic Indian Forest Act, 1927. It should be welcomed as it fulfils the demand of millions of farmers who were growing bamboo in their homestead land for livelihood or for subsistence. The earlier rules did not also allow growing of bamboo in farmlands, beyond a subsistence level, to meet the raw material requirement of artisans and entrepreneurs who are involved in generating millions of jobs in rural areas. It is time state governments also develop a framework to ensure felling and transit restrictions do not exist for private growers at the farm as well as at the market level. This will incentivise private, intensively-managed and high productive plantations of bamboo to come up. It will also increase the productivity of forest bamboo; enhanced price realisation for value added products and applications; and, set the path for the proper management of forest bamboo. Significantly, new uses for bamboo in high value products and applications have emerged and recent technological developments have the potential to transform the sector. If these breakthroughs are incorporated in the Indian bamboo sector, it would not only widen and enrich traditional livelihood patterns, but also forge linkages between the organised and unorganised sectors. (This article was first published in the 16-28 February issue of Down To Earth under the headline 'Rediscovering bamboo').